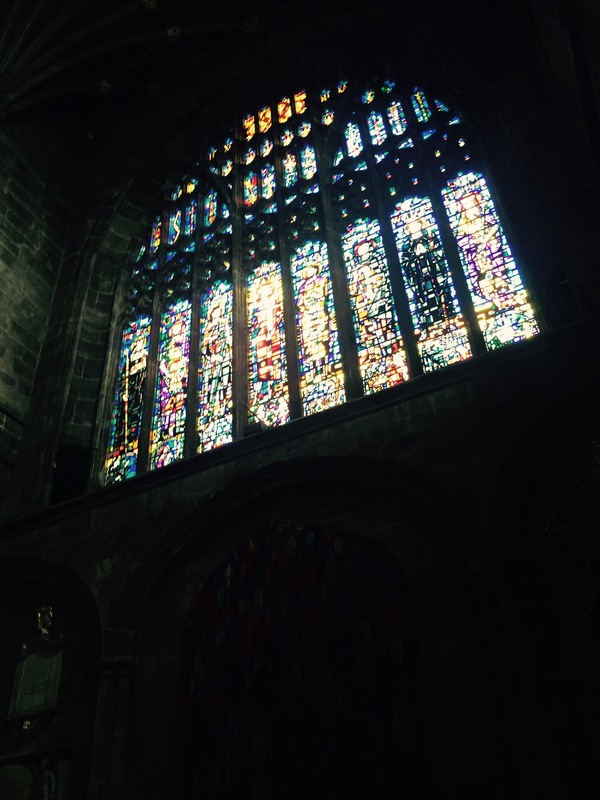 Just a quick post to say how much we enjoyed watching a very special performance at Chester Cathedral this week. 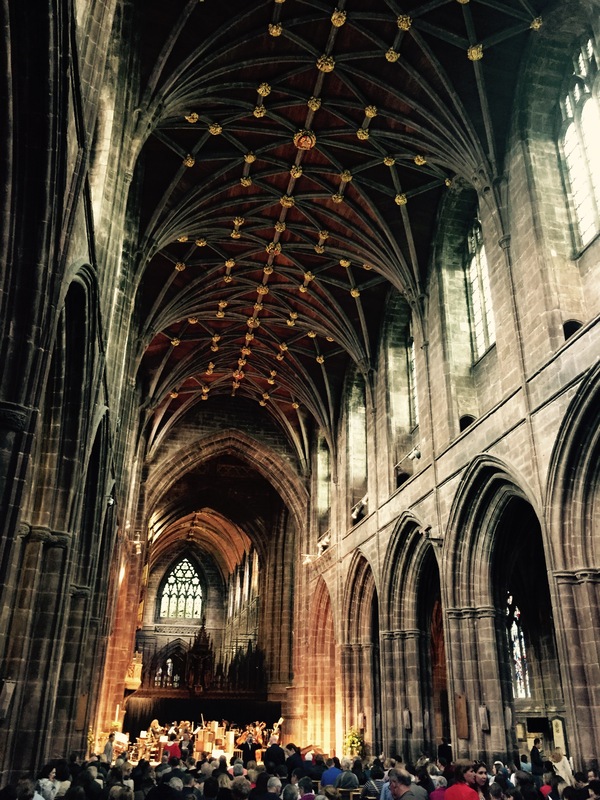 Around 200 pupils from local schools worked alongside student teachers from the University of Chester, as well as the talented folk at Manchester Camerata chamber orchestra and some members of the Chester Youth Symphony Orchestra to produce On Chester On. The project was also supported by the Philip Barker Charity. The cast took the audience on an audiovisual spectacular, looking at the history of teacher training in Chester, from its beginnings in 1844 to the present day. The rollercoaster ride took us through two world wars, a threatened closure and the acceptance of women students in 1961. 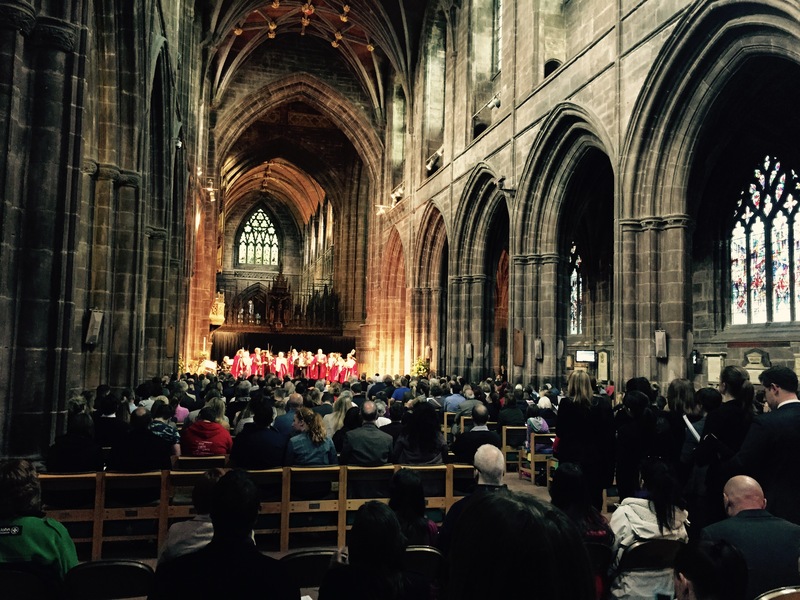 For the performance purposes, the university became ‘On Chester On’ primary school, with university vice chancellor Professor Tim Wheeler naturally taking on the role of school principal. Oh, and in keeping with the school theme, let’s not forget the involvement of some very determined looking Ofsted inspectors, played by student teachers. Congratulations to all involved with this impressive show. The cathedral was a fantastically atmospheric setting for the spectacle and it was a full house, with a standing ovation at the end, demonstrating the depth of talent on show. It was so good to see children from local primary schools and high schools getting involved in producing what was essentially their own musical, accompanied by Manchester Camerata. A huge well done to all the pupils, teachers and staff who worked incredibly hard to make this fantastic performance possible.